Part of the fun of gift giving is gift wrapping! There’s nothing like making your own gift packaging and adding the personal touch to the wrapping. On the plus side, you’ll need only some basic supplies and some time to explore different DIY gift wrapping ideas. Have you run out of wrapping paper? Don’t worry, here’s an amazing idea! We introduce you to Furoshiki wraps, an easy and elegant way to wrap presents in fabric. Yes, you’ll need a piece of cloth to wrap this gift. Square shaped cloth would be perfect, and you’ll wrap the gift with four knots. Check out the article to see how to do it. You’ll first need to wrap the gifts into a plain wrapping paper in any color of your choice. Once you’ve done that, use a piece of yarn or ribbon to weave around the box. First, you’ll use the yarn or ribbon to wrap around the box one way. Wrap it several times around the box. Now start wrapping the other way, but make sure you weave the yarn or ribbon, to get some interesting pattern. These are easy to make and yet they look impressive. Use stamps to create your own custom gift wrapping paper. Choose any pattern you want and simply create a stamp in a shape of your choice. You’ll also need plain wrapping paper. To make this stamp you’ll need lint roller, craft foam, twine, skewer stick, scissors, and an ink pad. This DIY gift wrapping idea is quite an elegant one. A regular brown wrapping paper can look amazing with a couple of tricks. You’ll need stamp pad in a color of your choice and a pen with a rubber on top. Use the pen to stamp small polka dots all around the paper. To complete this elegant gift wrapping, tie a ribbon around the box. Add a bow or a flower on top. This kind of wrapping is perfect for weddings. Spring time is perfect for this kind of gift wrapping. Floral design is the centerpiece of this idea. 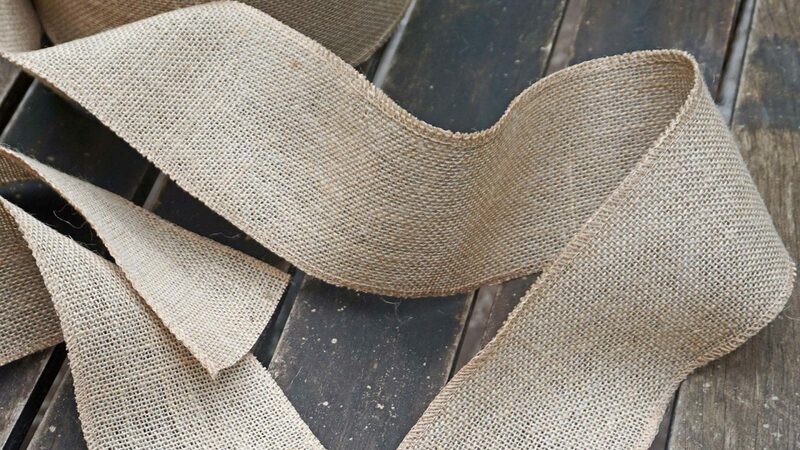 Start by wrapping the gift in burlap. Use a piece of ribbon to wrap around it. Finally, we have the flower. You can either use fresh flowers, which will look amazing! Alternatively, you could make flowers out of paper. Grab some gold fringe door curtain and some crepe paper and the magic can begin. This DIY decoration is so beautiful, and yet quite easy to make. On the plus side, the materials can be combined in many different ways. You’ll start by wrapping the gifts or gift boxes in a plain white or brown kraft paper. One idea is to wrap a strip of crepe paper around the box and then add a couple of strips of gold. You could star with gold strips first, and then add crepe paper on top. You could also combine both to create bows or flowers which can be placed on top of the gift box. These require a bit more time to create, but they look very professional, and you can make them yourself with this helpful tutorial. Wrap the gifts in brown craft paper or any other kind of paper you’ve prepared. Cut out the name of the person who’s going to receive the gift from an old book page. Letters like these look very interesting and original. All that is left to do is to paste the letters to the box and a very original gift wrap is ready. We’ve shown that gift wrapping can be easy and yet it can look quite original and festive. Here’s another way to decorate gifts, which is perfect for those who aren’t much crafty. You’ll need to start by wrapping gifts into regular plain paper, which will be the base from which you’ll start decorating. The decoration ideas include golden sticker dots arranged in any way you want, yarn tassel and a cotton bud or any other flower attached to the box. The final idea is especially festive as it has glitter. You’ll need double stick tape, which you’ll attach to the box and add glitter on top. You could create a straight line, a square, a star or any other shape you’d like to have on the box. 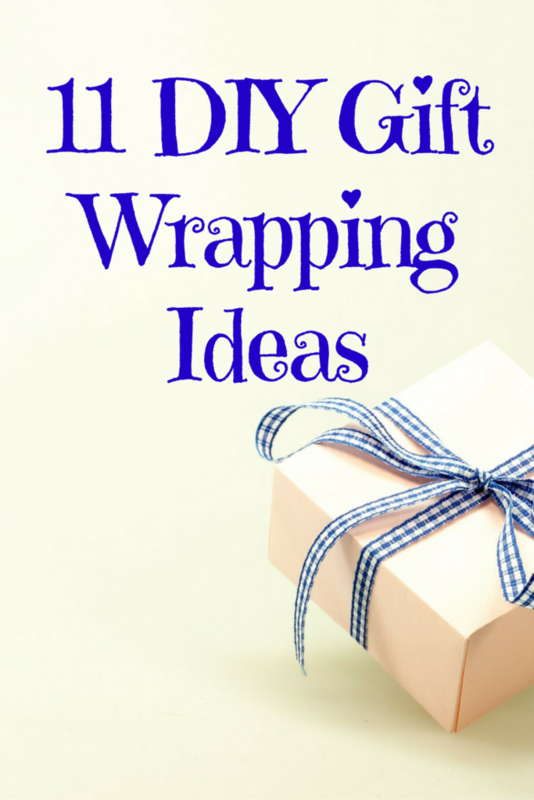 This one is super easy and perfect when you don’t have too much time to design custom gift wrapping paper or decorations. Simply wrap the gifts into plain paper and wrap a sparkly ribbon piece around the gift. You could go for a regular wrapping style with the ribbon pieces, or you could use a longer piece to intertwine the pieces as you wrap the ribbon around the gift. Alternatively, you could go for a large ribbon bow on the top – this one is a classic and it definitely looks great! When thinking about wrapping gifts, you’ll surely think about all those gifts that are difficult to wrap. Decorating a gift in a box or a book isn’t difficult. However, objects with round edges or soft objects such as toys are sometimes very difficult to wrap. In this situation, what you need is a gift bag. You’ll create a bag that is a bit bigger than the gift itself, and you’ll then easily put the gift inside. The option is to leave the bag open, or you could close it using either the tape or tie a knot or a bow. You’ll need a piece of ribbon or a thread to do that. Here’s a very helpful tutorial which illustrates step by step how to make your own custom bags. You’ll need wrapping paper of your choice and some tape. Here’s an idea which will take a bit time, but it looks amazing! As always, the process starts with wrapping a gift. That’s the easy part. You can use kraft paper to do that. Now it’s time to add flowers on top, but these aren’t just any flowers. You can make these lilies using colorful paper. Even though it might seem difficult, it’s actually quite easy, because you’ll follow the instructions in the tutorial. This kind of gift wrap is perfect for Mother’s day. I love polka dots idea, I’ll be using it to wrap a gift for a birthday party we’re going to next weekend.